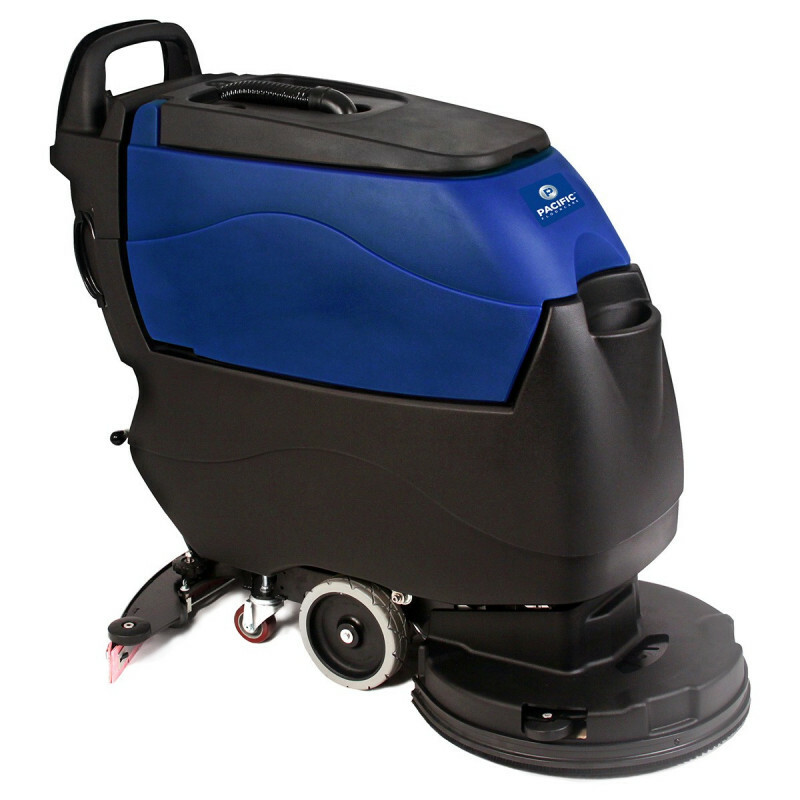 This Pacific Floorcare S-20 traction drive model, is exactly the same as our S-20 pad driven scrubber, but it comes with a speed dial, that controls the speed at which you scrub your floor. The front wheels propel the machine at an even keel, for consistent, even scrubbing. The two 145AH batteries will provide enough power to scrub for 3 hours and beyond. The control panel features a simple design, and easy to read gauges. The S-20 has a 20" cleaning path, 11 gallon solution tank, and a 30" follow behind squeegee. The unique hands free pad on/off feature makes pad changing as easy as pushing a button. The traction drive system is powered by a transaxle. 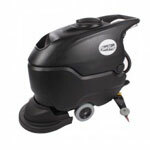 We also offer this model as an orbital auto scrubber, which can be used for top stripping waxed floors. Take a look at our complete line of walk behind floor scrubbers for other options including more Pacific Floorcare professional floor scrubbers. 30" follow behind squeegee recovers 99% of all solution laid down. The operating console has training graphics on it for easy operation. Comes standard with a speed potentiometer, which provides the operator a full range of scrubbing speeds for effective, productive operation. Quiet operation (only 63 dBa) allows for cleaning of entranceways, super market aisles, and common areas during business hours. This machine features specifications and attributes you would find in the premium price ranges, but it is priced at the mid-market level.